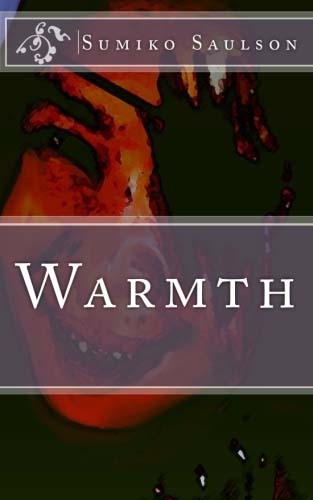 “Warmth” is a little different than my other two novels, “Solitude” and “The Moon Cried Blood”. Compared with “Warmth”, the other two are actually pretty serious. I have a tendency to not stay very strictly within my genre – that’s the benefit of small publishing houses and independent publishing (two separate entities with a few common perks), you don’t become strictly married to a certain genre, and you don’t need a special pen name to secretly write novels that are outside of what your audience expects from you. You have a small audience whose expectations are still fairly fluid. 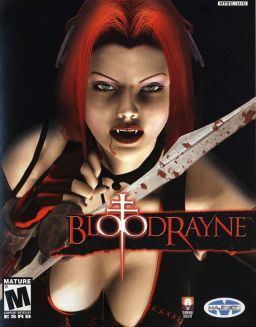 I started squealing something all fan girly about the Damphir, and BloodRayne, my favorite Damphir. Then – something weird started to take place in my mind, and it was a sort of Anti-Bella. Instead of being a human impregnated by a vampire, she was just some sort of nearly immortal creature who was pregnant for a really long time. I started to think about Elephants, and how they stay pregnant for 2 years. Most humans get cranky enough with a 9 month pregnancy – how would this character feel being pregnant for much longer than that? Longer even than the shark, which can be pregnant for up to 4 years. That was the beginning of Sera (it is pronounced “Surah” and yes, I was watching “Spartacus” onDemand when I wrote it – how did you know?). She has to endure a 600 year long pregnancy, and is really not even remotely happy about it. She’s pissed off. To make things worse, her life isn’t very glamorous. Some of her Kind – “The Afflicted” – like to play at being vampires, flouncing around after expensive plastic surgery and cute little dental implants and deceiving humans into believing that they are immortal – but it’s all one big lie. They aren’t vampires, and there are no such things as vampires as far as Sera knows. The constant sweating and feverishness experienced by the Afflicted give Sera that “not-so-fresh” feeling. What the really are is infected with something – something that causes them to live a really long time, but not forever. Living a really long time sounds like fun, but in so many ways this Affliction is just not all that socially attractive. Those Afflicted are constantly ill with a strange ague, and spend much of their time trembling with fever chills, suffering night sweats and hot flashes, popping aspirins, feeling uncomfortable and desperately seeking warmth. Sera doesn’t feel very attractive because she’s constantly sweating. Sometime back in the 1400s, before the dental implants were available, she followed the example of her Mayan buddy Itzel and sharpened her teeth into the shapes of shark teeth to make life easier for her. Life for the Afflicted can only be sustained by the consumption of human flesh and blood. Early into her life, Sera, who longs to travel, makes the discovery that it doesn’t have to be living flesh: they can very easily survive on the flesh of the dead. Eating dried, dead flesh allows her to traverse the ocean, traveling from Spain to the New World, where she meets Itzel, without eating the crew to extinction and revealing herself for a stow away. Before she leaves, she runs into two brothers in a graveyard who grace her with a new word: “ghula” – the feminine of “ghul”. She decides that is what she is: a ghoul. She is not the only one who sees her kind as such. Ghouls age very slowly… no one is sure how slowly, but Sera’s own pregnancy is a pretty good gauge, since she seems to have gotten pregnant just prior to becoming a ghoul, and she stays pregnant for 600 years. A ghoul can’t turn another person into a ghoul by any means, while he or she lives. 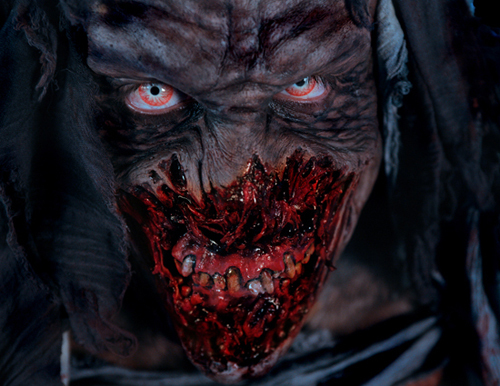 However, a dead ghoul can infect others…. when a ghoul dies, he or she reanimates and immediately attempts to eat every person in its immediate vicinity. In short, upon death, they enter a “zombie” phase. Only in this phase are they able to pass along the Affliction, but not for very long since as zombies, they soon decompose too greatly to ambulate. Sera hates the Dead – they have no self control, and if their population is not curtailed, they will soon overrun the planet, shoving the entire human world into a downward spiral of increasing cannibalism (through Affliction) causing a decreasing food supply (of humans, dead or alive) and eventual starvation. In order to stop the future she fears, she becomes a serious minded hunter of the Dead. That’s Sera – a pissed off, pregnant, sweaty zombie hunter with shark teeth. And pox marks. 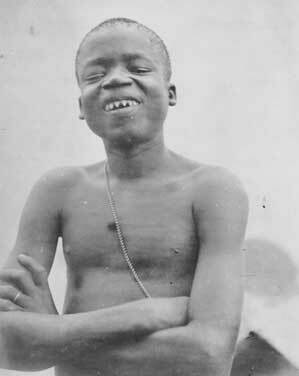 Did I mention the small pox? Not all ghula are as serious as our grim and single-minded Sera, who refuses an abortion due to fear of a zombie fetus and calls her unborn child a parasite. Unknown to Sera, she has an arch-nemesis: a certain Lizbet, thought to be dead, whose hobbies include plastic surgery, breaking and entering, prostitution, and murder. You can read more about Sera and Lizbet in “Warmth”. You can also read a short story about Sera and her friend Itzel here…. ~ by Sumiko Saulson on June 13, 2012.